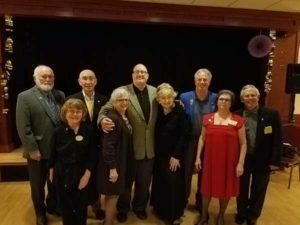 We all gathered last Friday night to thank Exalted Ruler Lee Watson and First Lady Heather for their wonderful year of service to Alameda Elks Lodge 1015. We enjoyed a sumptuous dinner followed by toasts, stories, jokes, laughter and, most of all, gratitude to ER Lee for all his efforts this past year. Exalted Ruler Lee presented awards and commendations, highlighted by his naming of Mr. Ted Hommert as Elk of the Year. 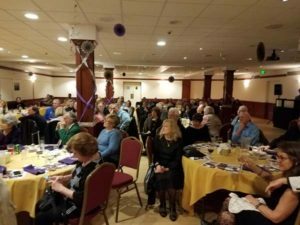 Other awards were presented to Barb Rosenberg, Katie Rusting and Lynne Lathbury for various enduring efforts throughout the year.